There’s no doubt about the importance of eBooks in B2B marketing when it comes to lead generation. In fact, a remarkable 80% of users say they’re willing to provide their email for an eBook or white paper. Writing and designing a quality eBook requires a lot of time, energy and resources. And while that process is extremely important, its ultimate success will depend on how well it is promoted. If you don’t promote your eBook to a relevant audience on the right channels at the right time, the hard work you put into creating it will go to waste. Adopting a smart promotional strategy will help you reach the right audience and generate more leads. And keep in mind, the content can easily be repurposed into other materials, to reach more audiences and get a bigger return on investment. Reach your target audience at the right moment. Know the audience for your eBook. What are their preferred social channels and when are they most active on them? For example, if your target audience is Marketing Directors on LinkedIn, consider this—the best time to post on LinkedIn is Wednesday from 3–5 pm, and engagement is highest Tuesday through Thursday. Weekends are the worst times since LinkedIn users are typically checked out then. 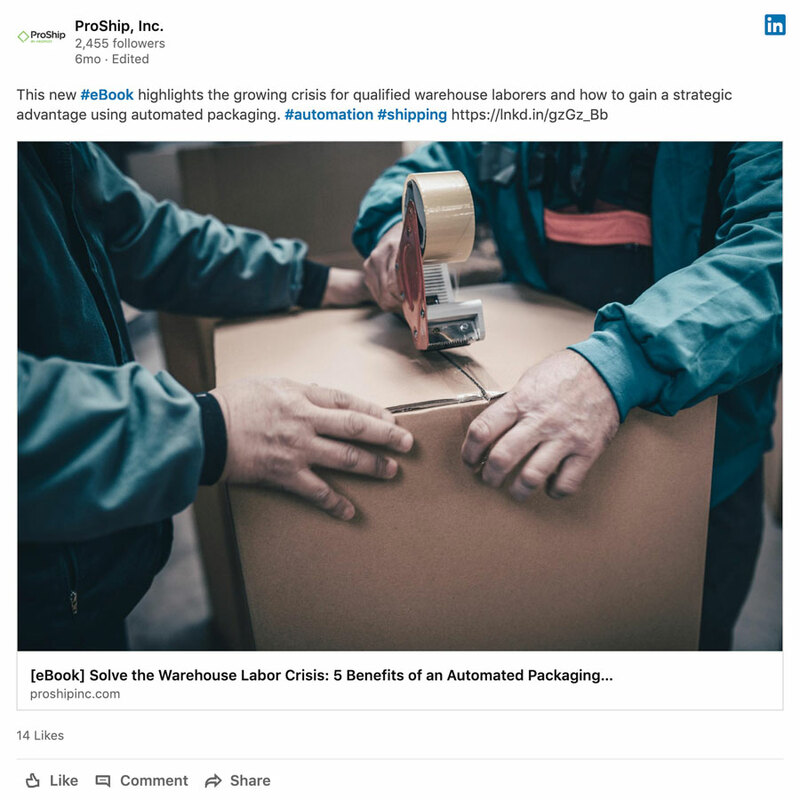 ProShip created a LinkedIn post to promote an eBook we created for them. However, if you’re promoting on Facebook, Instagram or Twitter, after work hours and weekends can be the best times to post. Paid advertising on social networks can also be very effective, giving you the opportunity to target users based on demographics, job titles, industries and more. Leverage your website and blog. When released, your eBook should be promoted in a prominent space on your website, such as the homepage or sidebar. Repurpose your eBook content to write supporting blog posts too, and offer the eBook up at the end as a more definitive guide. Or include a pop-up form on the blog post like we did here for Boelter. Pop-up ad for Boelter promoting their eBook on a relevant blog post. Send out an email blast or include it in your newsletter. You should always send out an email blast when your eBook becomes available, along with timely reminders after the initial email. Using marketing automation for emails and newsletters is a great way to save time and streamline that process. To pique interest, you could also give the first few chapters away in an email sequence to encourage downloads. Another great tactic is creating an email sequence of related blog posts to build awareness. Make sure your landing page follows best practices. While a landing page isn’t part of your promotional campaign, it’s the place you’re guiding them to in the first place—where they make the final decision to download it or not. Having a landing page optimized for conversions is of utmost importance, otherwise all your hard work will go to waste. Keep your landing page simple and the goal clear, as we did for the Building Restaurant Traffic eBook for Boelter Blue. Use retargeting ads to recapture visitors. Not everyone who views your eBook landing page is ready to convert. First-time visitors are often curious and not ready to make a decision right away, but strategic ad reminders later can get them to reconsider. In fact, 70% of website visitors who are retargeted with display ads are more likely to convert. Have an ad retargeting strategy in place to recapture and convert audiences who’ve already shown interest in your eBook. Repurpose your eBook smartly to reach new audiences. Your eBook contains exceptional content which can be just as effective in different forms. For example, those who don’t like reading typically listen to podcasts, watch videos or enjoy a good infographic. Repurposing parts of your eBook into this type of material opens up many opportunities for you to reach an audience you would have otherwise missed—all while streamlining content creation. Promoting your eBook following these best practices will help ensure your hard work pays off. And remember—statistics and best practices change, and problems and solutions evolve. 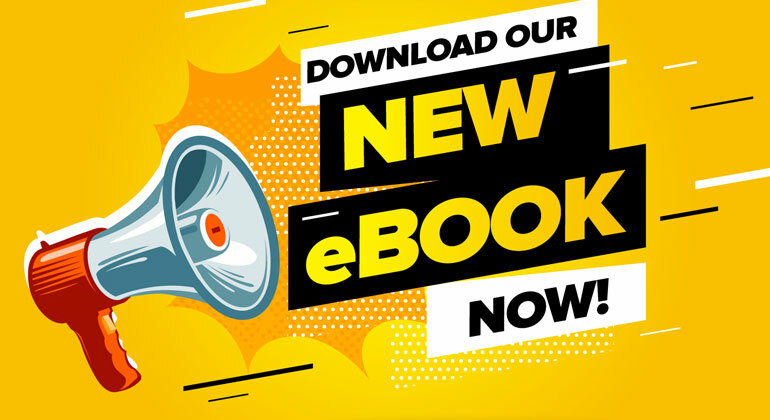 Be sure to update your eBook as necessary to keep it relevant so it can continue to be an integral part of your content strategy.